1.Keep yourself warm and bright this winter season with our LED Scarf. 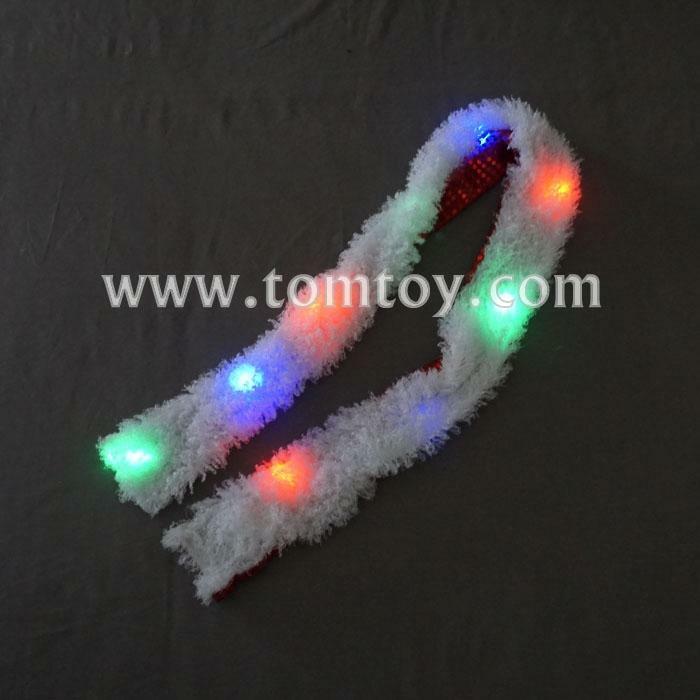 2.This scarf is made from soft, silky cotton and features 9 multicolor LEDS (3 green, 3 red, and 3 blue). 3.To turn the flashing lights on, undo the velcro from the end, and press the button on the battery pack. 4.Batteries are included and installed. Measures 3.75 inches wide, and 59 inches long. 5.For even more winter light ups, match with our LED Leg Warmers!